LaDonna’s most popular presentation focuses on the wisdom found in the notes of the musical scale: DO-RE-MI-FA-SO-LA-TI-DO. CRAZY ABOUT RECOVERY…My Journey Back from the Brink! How can a program about mental illness possibly be this much fun?! LaDonna’s engaging communication style tackles this tough subject and leaves your audience with a song in their heart! A strong voice for mental health, she is passionate about eliminating the stigma of mental illness. In this program, she transparently shares her own personal struggle and ultimate victory over Major Depressive Disorder. She delivers a powerful, yet UPBEAT experience on winning the war over emotional challenges. This is not a “DOWNER”…far from it! LaDonna credits her mother, the church pianist, with instilling the love of gospel music into her. This “up-close-and-personal” presentation shows LaDonna “UNPLUGGED.” Her audience feels as if they are literally sitting in her living room as she candidly shares her abiding faith in God and sings the great old hymns of the church. She even takes requests from the audience! Masterfully weaving a tapestry of inspiration, music, and humor, LaDonna captivates the audience with stories of what it was like growing up in this legendary musical family. She uses music to helping audiences turn their challenges into opportunities and tune up their lives accordingly. Her message is filled with practical, creative, immediately actionable ideas to inspire you to be your absolute best. LaDonna Gatlin grew up on stage performing with her brothers, the legendary Gatlin Brothers. In the mid 1970’s, this “gutsy” Texas native chose to follow her heart and “sing a different song” apart from her famous family. That “song” has taken her from corporate powerhouses…to the prison cells of death row…and just about everywhere in between. LaDonna’s presentations resonate with audiences all over the country. She is the author of The Song in You: Finding your Voice, Redefining Your Life. 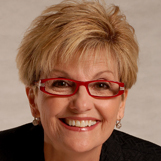 She is also a contributing writer to the best-selling book series, Chicken Soup for the Soul. As a speaker, she is one of only a handful of professional speakers who holds both the Certified Speaking Professional designation and the CPAE Speaker Hall of Fame Award®, two of the most prestigious honors bestowed by the National Speakers Association. As a performer, LaDonna has excelled in the world of gospel and country music. She has performed with Johnny Cash, June Carter, Tammy Wynette, George Jones, and countless others. She has written and recorded her own songs and performed on both Grammy Award-winning and Dove Award-winning records. Through her experience as a performer, professional speaker, and author, LaDonna has developed an expertise in showing people how to tune up their lives, so that their success becomes…well…music to their ears. "I wanted to thank you for your great keynote address today. Your presentation made our 8th Annual Summer Sizzler Conference a huge success. The participants really enjoyed hearing your wonderful stories and the great takeaways you shared for them to use in their daily practice and everyday life. Thanks again for making a difference in the quality of early care and education in our community." "She was wonderful and you will enjoy and be blessed by her." "She is a fantastic speaker, full of energy. She knows no strangers, speaks to you as if childhood friends."